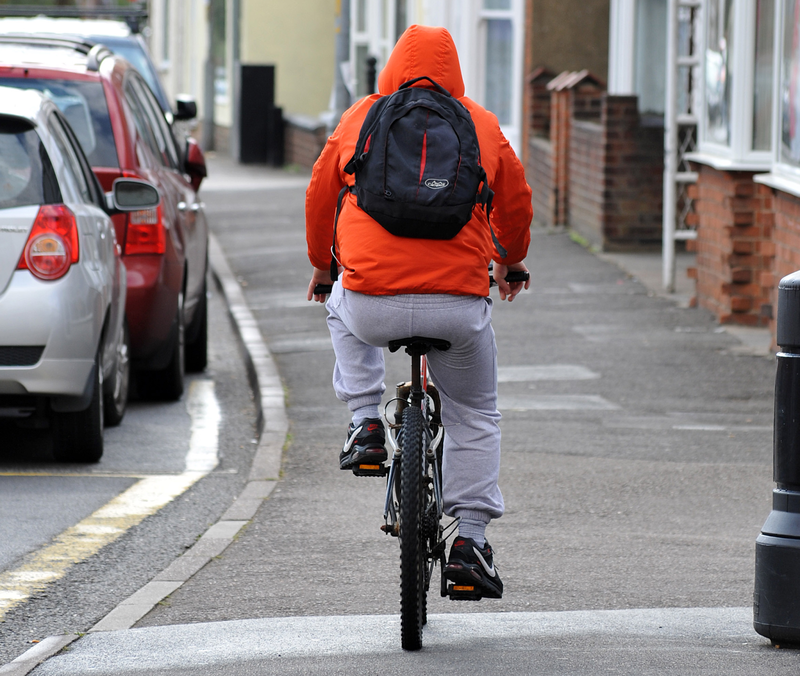 Thames Valley Police (TVP) officers have been out in force stopping bicyclists riding on pavements in Caversham this week. The aim is to make pavements safer for pedestrians. The local TVP have been raising awareness that it is illegal to cycle on the pavement, unless of course a pavement has a designated cycle route. I joined them this morning to see how the campaign was going. The move follows complaints from residents about this dangerous phenomenon which is a pet hate shared by many. It is one of the most common complaints raised with the local police, Sgt Nigel Scarratt told me. As from tomorrow, Thursday 14 January, TVP will be fining anyone caught cycling on the pavement £30. In addition, anyone riding without lights after dark may be fined £30. Signs have been put up around the area to help promote this campaign.